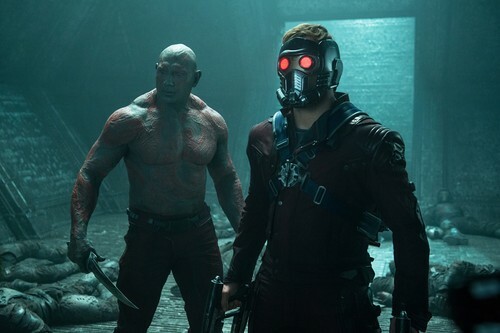 Star-Lord and Drax The Destroyer. Who do 당신 like more?. HD Wallpaper and background images in the Guardians of the Galaxy club tagged: photo guardians of the galaxy peter drax 2014. This Guardians of the Galaxy photo might contain gasmask, 호흡기, 가스 헬멧, 가스 마스크, and 인공 호흡기.